Simple step-by-step painting instructions for anyone. Get Artzy is all about teaching blending, mixing and different strokes with the brushes. Most of all we keep class relaxed and fun! Anyone can do this fun class. Well, maybe “class” is too formal, because we’re all about relaxing and taking time out of your busy life to become re-energized and renewed. Discover talent right at your fingertips! Go home with your project to frame or display on a tabletop in your home.Be sure to tell friends and family that you created this gorgeous work of art yourself. 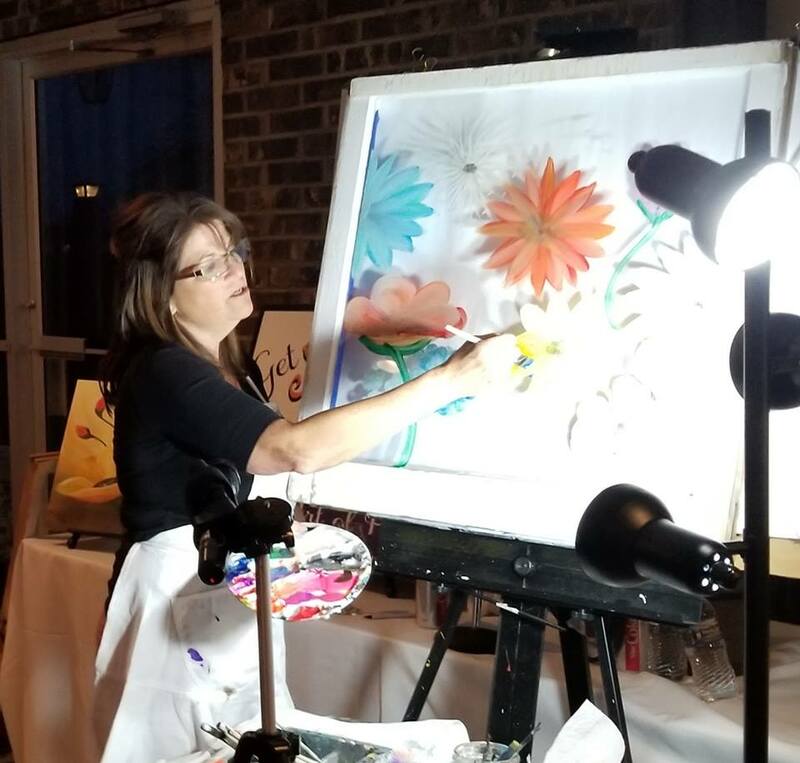 Learn more about your teacher, artist, Fun Coach, Jennifer Miller. There are many classes to choose from: Acrylics, watercolor, drawing, wood and more! Classes are for beginners and up to advanced class. NOTE: I am looking for people interested in learning watercolors. Please email me at getartzy@wi.rr.com and let me know you are interested. I am trying to get a group together for a few sessions.